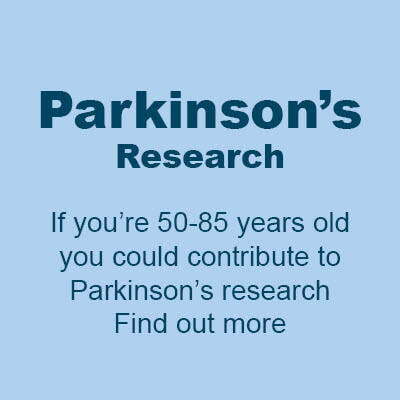 Would you like to contribute to Parkinson’s research? 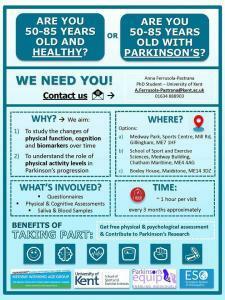 If you are aged 50-85 years old – healthy or with Parkinson’s – then you could take part in this joint research study. 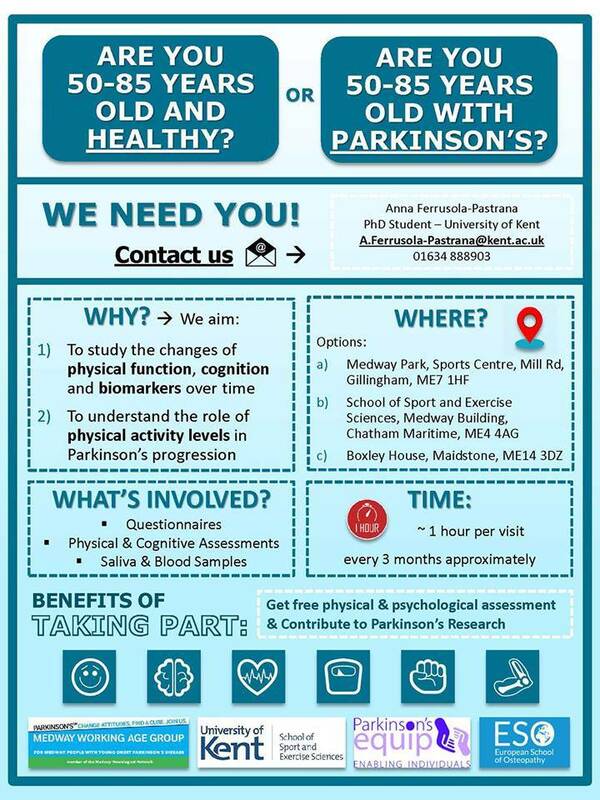 To find out more please contact Anna Ferrusola-Pastrana at the University of Kent on 01634 888903 or email A.Ferrusola-Pastrana@kent.ac.uk.